Spin This: "1990x," "Lake By the Ocean"
Maxwell hit his commercial stride while riding on the coattails of first generation neo-soul. He proved he could walk on the backs of Frankie Beverly soul (“Ascension (Don’t Ever Wonder),” “Sumthin’ Sumthin’,” “Luxury: Cococure”) while slipping into midnight slow jams (“…Til the Cops Come Knockin,” “Whenever Wherever Whatever,” “Lifetime” “This Woman’s Work”). 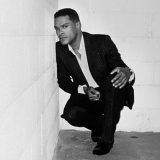 A champion in Marvin Gaye-meets-Prince gravitas, Maxwell was able to shoot past most of his peers as the Luther Vandross of his generation. But with overwhelming hiatuses in between his most recent albums, from 2001’s Now to 2009’s BLACKsummers’night, the eclectic singer-songwriter seems to not be as interested in making music. Only because of his devout fans, he decided to cook a trilogy of albums, originally scheduled to be released during a three-year period. That plan was scrapped after his label Columbia decided to milk whatever they could of the first set, a serious best-selling Number One Billboard 200 release, and to put Maxwell back on the road, where his fans could gleam over him like a Second Coming messiah. But BLACKsummers’night was a far cry from his golden era, with “Pretty Wings,” “Fistful of Tears, “Bad Habits” and a modest “Help Somebody” resonating only on urban radio and dwelling way below the radar of popdom. It did show off a more creative revision of Maxwell, one imploring brassy horns, jazzier arrangements and boundary-free R&B, but it stopped short of reaching the universal altitude of his greatest hits. 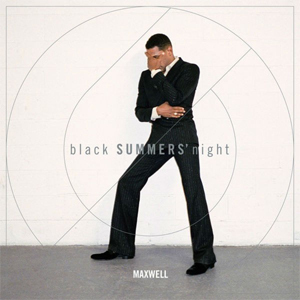 On blackSUMMERS’night, the second set of the trilogy, Maxwell simply doesn’t care about making sing-a-long hits. His whole agenda on this trip is to submerge deeply into an abyss of explorative contemporary jazz and trippy alt-R&B. At first glance, he seems confident in his new reinvention. “All the Ways Love Can Feel” plays like it wants to reign in a world of Chicago house, but it gallops too carefully, traveling in the slow lane of hypnotic jazz and calming beats decorated with quasi-Curtis Mayfield falsetto. But the rest hardly entertains, resonating just a smidgen higher than a Sunday afternoon bore on a country highway. The music, although soothing in character, seems too hazy and lackluster for his legend. The melodies seem dull, even with Maxwell settles for a breezy bedroom-ready serenading. On “The Fall,” a song dressed up with a type of reggae fusion, it seems riddled with too many parts and segments, as its chorus is buried in the sand. “Lake By the Ocean,” the album’s first single, seems a bit more relevant to Maxwell’s better songcraft, but it hardly matches the type of boom one would expect from an album promo single. It’s only when we reach “1990x” where Maxwell pulls off something reminiscent of Embrya–Urban Hang Suite balladry. 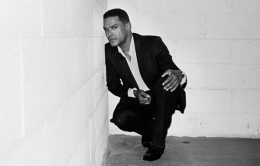 It’s coaxed with “The Lady In My Life” sultriness, Atlantic Starr’s “Send for Me” mojo and is beautified by Maxwell’s graceful falsetto. It may be hard to sell this on youngster urban radio, especially in R&B’s fickle and convoluted environment, but it’s definitely the album’s most magical highlight. But blackSUMMERS’night is not a chaotic blunder, just an acquired taste. Inside “Lost,” he slithers across retro Amy Winehouse blues, acting like a Marvin Gaye inside Hitsville USA’s studio. It’s a good sound on him, especially as he forces notes out like a gospel-trained crooner trying to dance with the devil. He leaps for Frank Ocean soul on “Listen Hear,” an earnest nudge at younger contemporaries. Also Maxwell keeps in complete care his poetic charm. On “Gods,” he questions his lover’s mind games with lyrical finesse. And you can feel his pen absorbing the varied degrees of unbridled passion (“We can be strong, we can wave, we can live oh so long/Live in a flame where we’ll never burn.”). But with all that’s going on inside, blackSUMMERS’night isn’t as pristine as BLACKsummers’night; it’s just a casual stroll in the park.